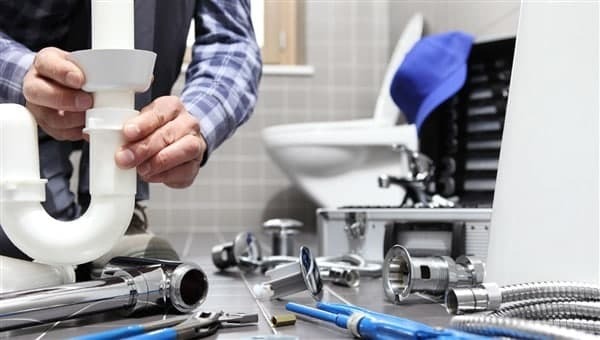 Get a professional maintenance plumbing agreement by Clovis Plumbing Services! It is quite common for people to disregard and trivialize the need to repair minor damages to plumbing. There is a tendency to ignore plumbing defects as long as it still functions and does not pose any immediate danger. What most people fail to realize is that regular plumbing upkeep and repairs is crucial. While it may be convenient to overlook small plumbing problems, you must be careful not to make this fatal error. Plumbing problems are best nipped in the bud as they have a tendency to stay undercover. Otherwise, they degenerate gradually to a point where incredible destruction and loss becomes totally unavoidable. Carry out a comprehensive investigation of your home to discover any puncture or opening that could be present. Ensure that the stop valves are tightly fixed and functional. Failure to do so mat result in you flooding your house. Investigate all of the pipes and junctures to see if there are any signs of rusting. If rusting or openings are detected, you should contact an expert for directives. Investigating for plumbing problems requires that you pin your ears back. Burbling sounds and sounds of sluggish water movement are suggestive of a problem. When you notice that drain water moves away sluggishly, it means there is a partial obstruction. The best way to remedy this challenge is to create a blend of vinegar and baking soda and flush. If it persists, it is time to call a plumbing expert. Where taps and sinks are in great working condition, maintenance plumbing helps prevent future complications. When investigating for leakages, know that rusting, fungus growth, paint cracks and damp spots are telltales. Do not wait until you see water dripping. Always examine your fridge to see if the hoses and fittings are secure and that there are no detachments. While it is common to trivialize seepages from this source, it could pose a big problem if left unattended. Examine faucet aerators to make sure that they are not responsible for the obstructions. It is advisable to sanitize faucet aerators from time to time. This can be achieved with a brush and soapy water. Immersing shower heads and faucets in vinegar is also a convenient sanitization approach. Maintenance plumbing includes investigating for stale caulking and substituting with new silicone. There are instances in which toilets becomes shaky and not secure. This can be discovered by pushing the toilet slightly from side to side. The wax ring that seals the toilet to the actual drain pipe should be changed if necessary. A thorough assessment would also require that you remove the cover of the toilet tank to see what is going on. Be cautious when removing the cover of toilet tanks. They weigh a lot and can very easily be shattered and you don’t want to incur preventable expenses. Check the flush valve seal to make sure that it is in good condition. If the flapper is good and your toilet still runs, adjust the float until the water shuts off properly. Once all of these are certified okay, you can be sure that your toilet is in working order. A washing machine is one fixture in a home that must have regular maintenance plumbing. Inspect the hoses that lead to the washing machine and make sure that they are firmly fixed. Look out for damp spots and dripping water as these are suggestive of a problem. It is highly recommended that you install a regulator to give accurate measurement of water pressure. You do not want to deal with the complications of excessive water pressure. The most important consideration for the effective upkeep and repairs of plumbing is to cultivate a proactive attitude. When it comes to plumbing, negligence and laxity often yields very undesirable effects.